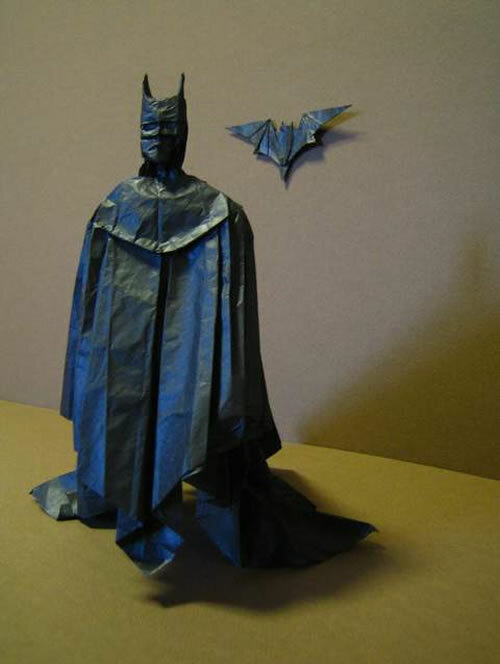 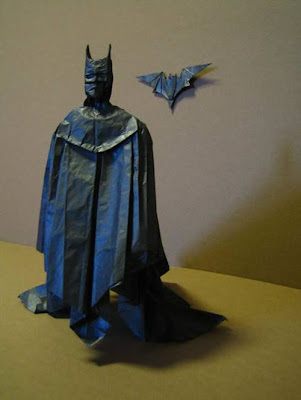 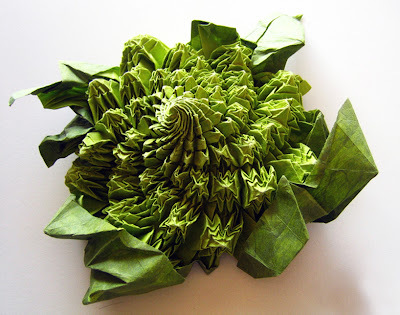 American engineer brian chan demonstrates the artistic side of mathematics with his complex origami creations. 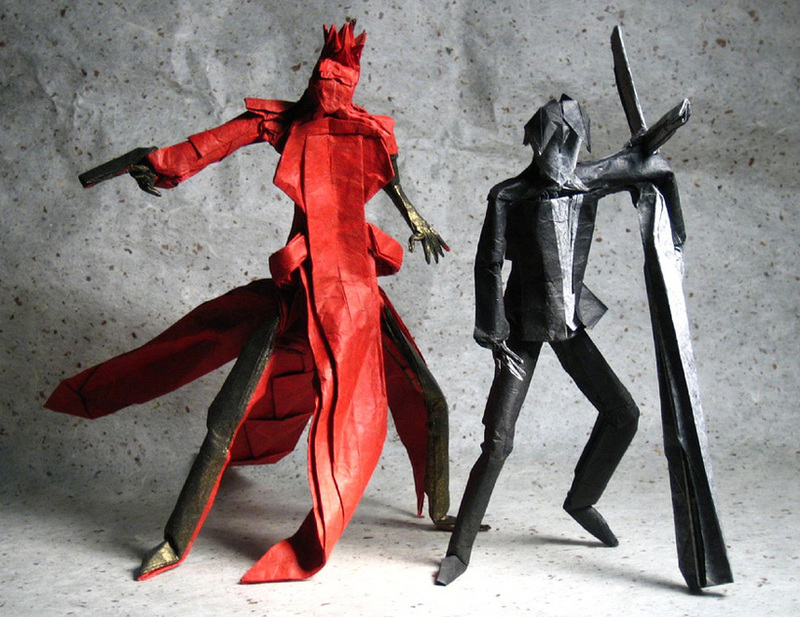 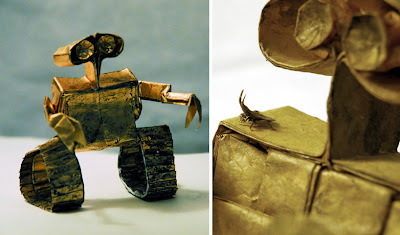 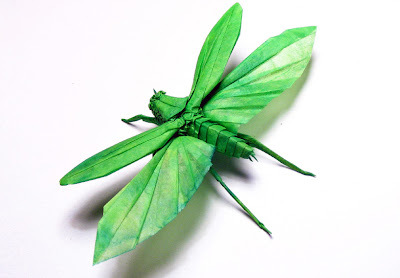 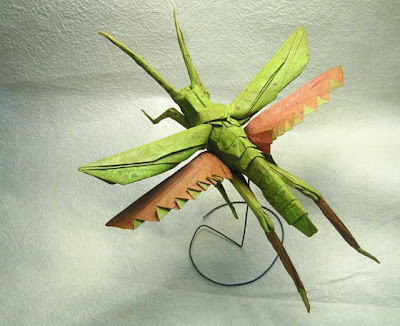 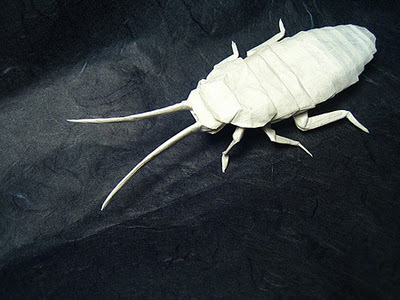 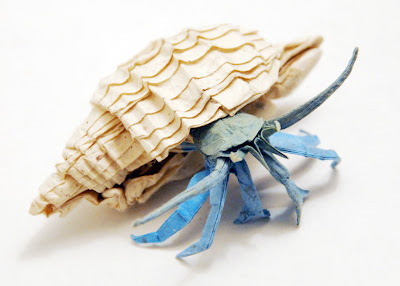 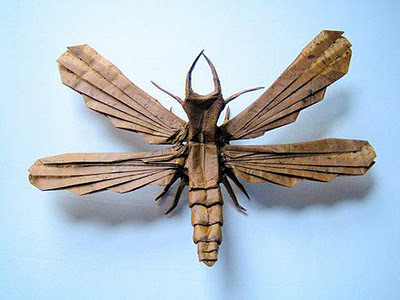 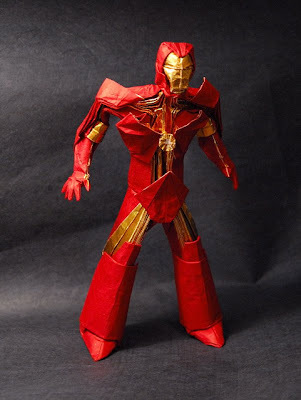 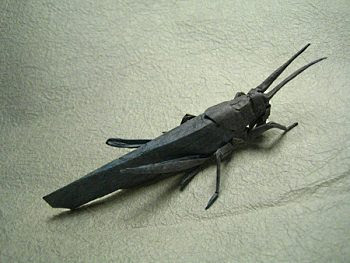 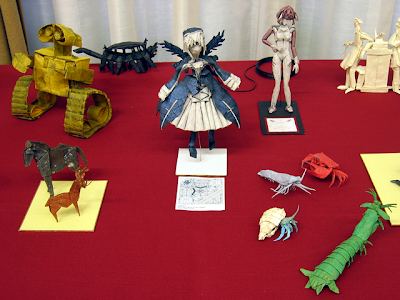 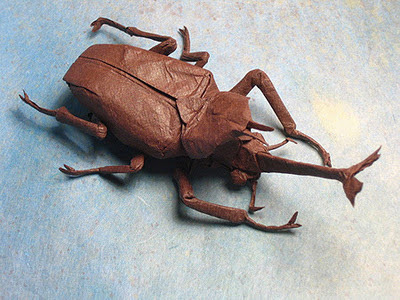 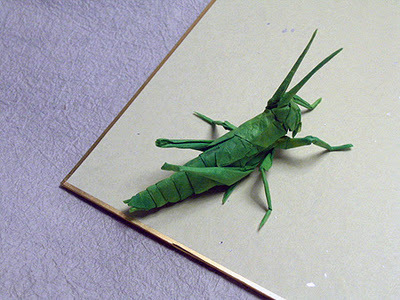 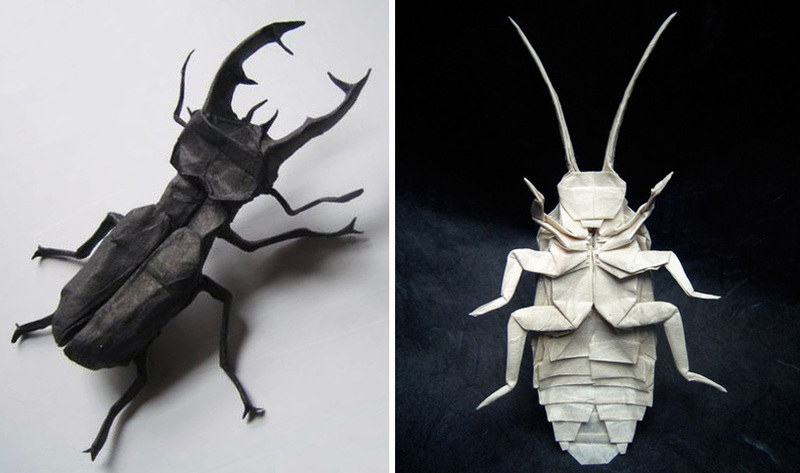 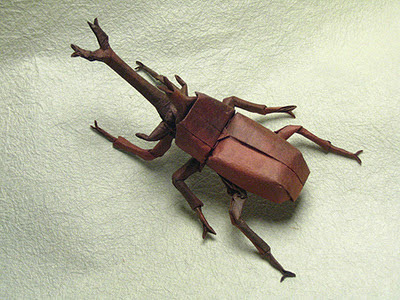 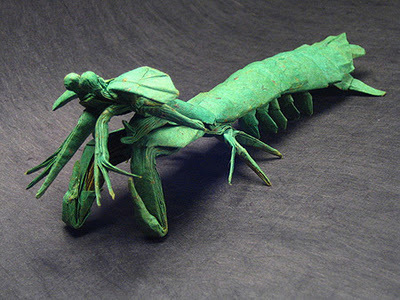 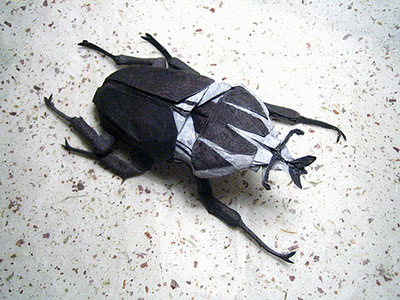 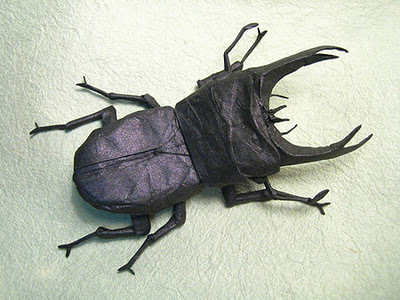 a lifetime origami enthusiast, chan only began designing his own patterns in 2005, focusing primarily on animals, insects, and japanese anime characters. 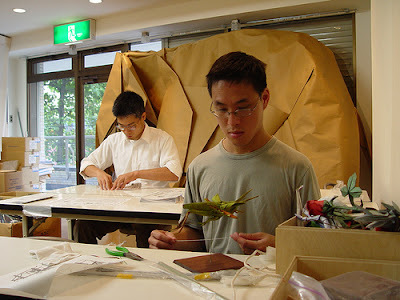 Unlike modular origami, which involves assembling a number of individual folded creations to produce paper sculptures, each of chan's works is folded from a single uncut square of paper, ranging from durable kozo to fine tissue depending on the desired effect. Interested in both the constraints and possibilities of paperwork, chan designs the patterns to use the corners of the paper for elements of the piece that need to be the thinnest, where as the naturally slightly thicker middle of the paper is folded into heavier, bolder sections.